Representatives from the SF Bay Area Chapter Board attended the ARIN 40 Meeting, which took place on 6 October 2017 in San Jose, California. Held twice a year throughout the American Registry for Internet Numbers’ (ARIN) service region, ARIN Meetings offer an opportunity for anyone in the Internet community to engage in policy discussions, network with colleagues, and attend workshops and tutorials. 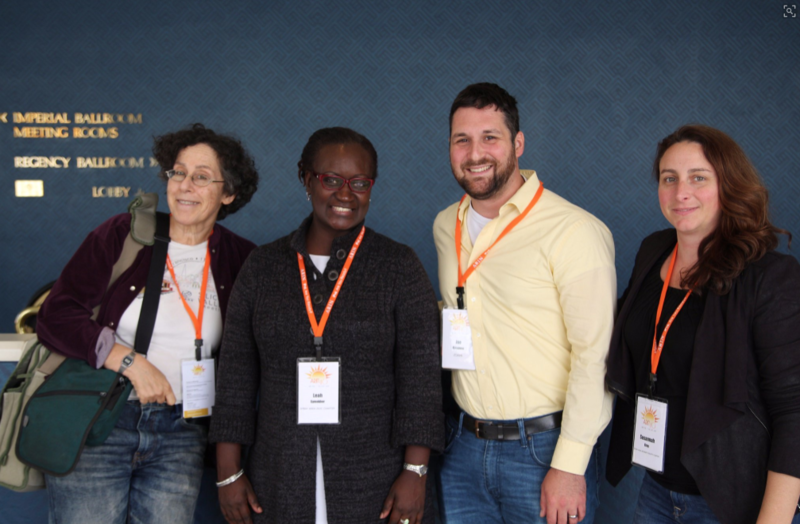 L-R: Eve Edelson, Board Member, Leah Symekher, Former President and current NARALO Representative, Joe Catapano, ICANN Global Stakeholder Engagement, and Susannah Gray, President. Relevant sessions at ARIN 40 included the ongoing discussions surrounding “Draft Policy ARIN-2017-8: Amend the Definition of Community Network“. An earlier proposal, ARIN 2017-2, had suggested the removal of all mention of community networks due to lack of use by the operators of such networks but was met with strong opposition by the community during the previous ARIN 39 meeting. Many of ICANN‘s North American Regional At-Large Organization ( NARALO) representatives, in attendance at ARIN 39 due to the co-located NARALO General Assembly, were able to contribute to the discussion and stress the importance of providing low-cost services relating to Internet number resources (IP address space) to those operating community networks. Several people noted that the definition of “community network” was too narrow, and discussions centered on the best way to define a community network. 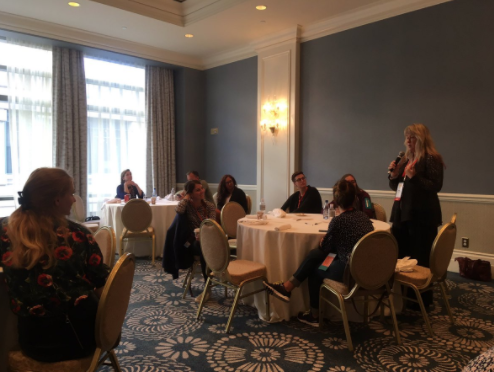 The Women’s Networking Lunch was also a valuable experience for the Board representatives, and offered an opportunity to meet with key players in the North American and global Internet industry. The lunches, which are open to all, provide a platform to share experiences and discuss the challenges and opportunities for women working in the ICT field. Merike Käo, global security expert and Farsight Security Chief Technology Officer, talks about why there are less women in STEM than 30 years ago.